< 50 Years of Service. 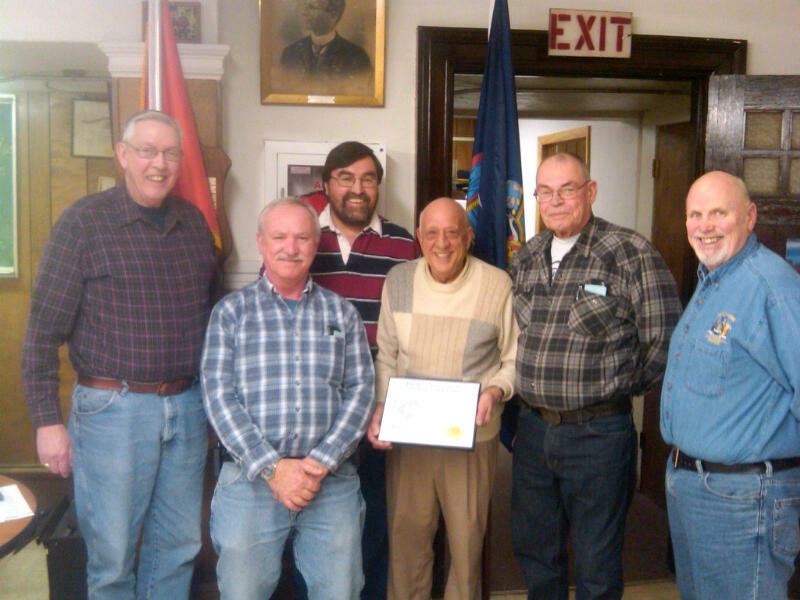 The Active Hose Company of the Mount Morris Fire Department honored Sam Maggio Sr. at their monthly meeting on Feb. 14, 2012 for 50 years of Service. Also Pictures is WNYVFA President Jerry Gehrig, 1st Assistant Chief Dean Smith, President Donald Hopkins, Ron Moyer(40 years Service Award) and Secretary Bob Ossont.